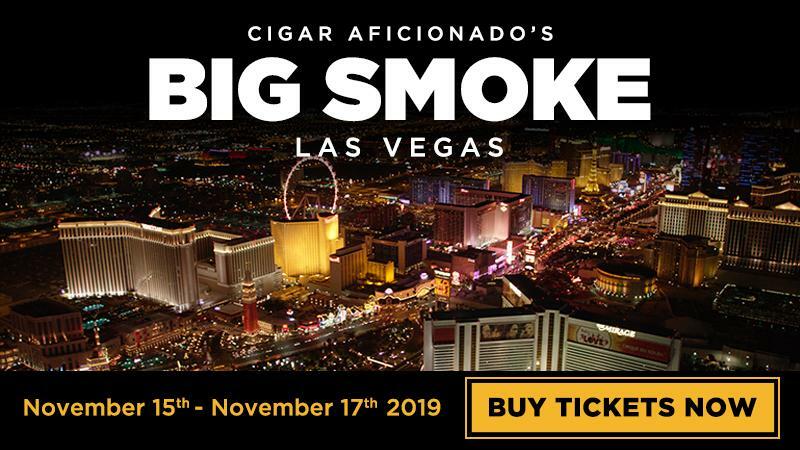 The Big Smoke Las Vegas takes place over an entire weekend, with Big Smoke evenings on Friday, November 15 and Saturday, November 16. There are also seminars on Saturday and Sunday for those who take part in the full weekend. The seminars include tastings of Cigar Aficionado’s top-rated cigars, presented by their makers, and this year’s seminar will feature a tasting of the E.P. Carrillo Encore Majestic, Cigar Aficionado’s No. 1 cigar of 2018, presented by cigarmaker Ernesto Perez-Carrillo. There will also be immersive presentations by other leading cigar stars and editors of Cigar Aficionado magazine, lifestyle seminars that combine top-tier spirits with handmade cigars, a class on cigar rolling and much more. The complete seminar agenda will be finalized soon. The seminars sold out early last year. Click here to check out last year’s coverage of Big Smoke Las Vegas. To buy tickets for Big Smoke Las Vegas 2019, visit www.thebigsmokes.com.